WWIII: Behind the lines – THE BOOKS THAT TIME FORGOT. 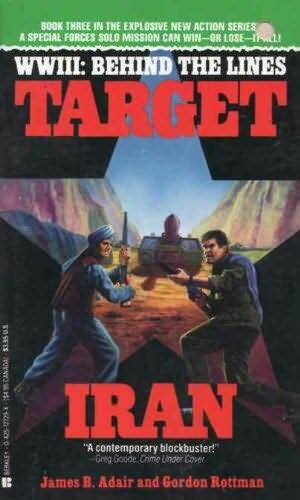 After their victory in West Germany the Soviets turn their attention south to Iran. The country is in the midst of a civil war between the Soviet backed government and Muslim hardline fundamentalists. The Soviets come in on the government’s side with the goal of controlling the Iranian oilfields and access to the Persian Gulf. The Americans send a force to stop them. The rebel Iranians are able to capture two nuclear armed Scud missiles from the Soviets. Now Major Jinx and BJ must lead a team to destroy these missiles before they’re launched and cause a larger nuclear conflagration. Colonel Bodnya and his Spetsnaz are also looking for the missiles. The wild card is a group of rebel Kurds that are nominally allied to the Americans but have an agenda all their own. The final book in the WWIII behind the lines was another fun read. 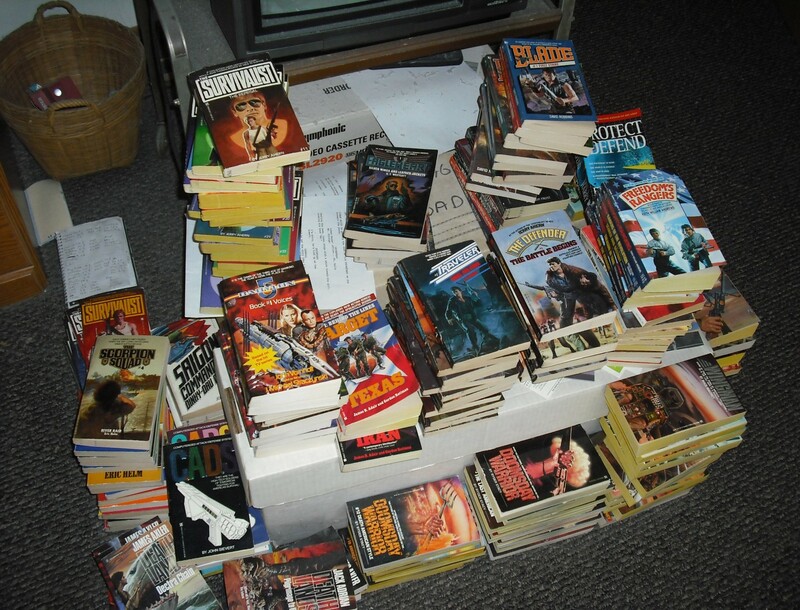 All the books took place in a different area of the world giving the series a fresh new story every book. Also the Soviets are always coming out the winners in these books which was not usually the case for adventure books of the time. It gave them a sense of realism. Of course by 1991 the Soviet Union was on its last leg. The series was a victim of fast changing world events and was dated when it first came out. I think it would of had more success if it started five years earlier. It’s a shame since I really enjoyed this new world they created and would have liked to see where it went. The second book in the series jumps right into the action from the first. The Soviets have unleashed Operation Summer Harvest and invaded West Germany. Our heroes Jinx and BJ find themselves leading special ops teams deep inside East Germany. Major Bodnya and his surviving spetsnaz return to a heroes welcome back home. The unit is given the title 800th Guards Special Purpose Battalion. The first unit to be elevated to guards status since the Great Patriotic War. In no time he and this troops are assigned to East Germany to hunt down the NATO teams operating behind the lines. The war is going badly for NATO and the decision to use nuclear attacks to stop the Soviets results in a devastating counterattack. The two sides agree to a nuclear moratorium. Nuclear Demolition Teams operating inside East Germany are recalled. All but one team 032A does not respond. Jinx and BJ must lead a team to find 032A and stop them from detonating their device otherwise it could start a bigger war. 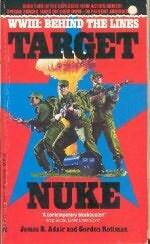 The second book in this series deals with special forces action in East Germany. It has a real grasp of the various tactics and security forces that would be encountered. Another solid book that looks at special operations in East Germany from both the American and Soviet viewpoints. In this alternate timeline Gorbachev dies in a mysterious plane accident. The new regime puts a halt to all the reforms. This still doesn’t change the fact that the economy is a total mess. The only thing in good shape is the military. War is the only thing that will restore the motherland. Operation Summer Harvest is set to begin on Christmas day. The first target is Fort Hood, Texas. 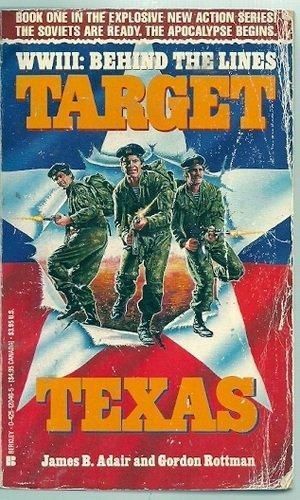 A crack team of Spetsnaz lead by Major Bodnya and Ensign Kovpak must infiltrate Texas and destroy the armor critical to resupplying the war in Europe. Only CIA agent Richard ‘Jinx’ Jenkins has discovered the plan while raiding their training camp in Nicaragua. With his friend Sgt. B.J. Hickey the two try to convince their government of the impending attack. I remember when reading this back in 1990 that it was a bit dated. I mean now of course its dated but when the book came out the Berlin Wall had fallen, the Soviets were out of Afghanistan and the Nicaragua war was winding down. I suppose the events were still possibly but world events were outpacing the authors story. Still it is a very enjoyable book. The authors clearly have a feel for special forces operations. The Spetsnaz infiltration tactics were plausible and it was a fast paced story. I enjoyed it now as I did back in 1990 as a sort of nostalgia for the 80’s.